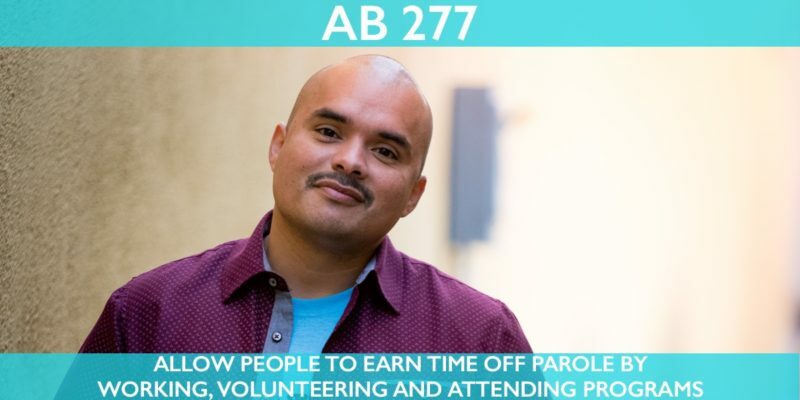 Assembly Bill 277 would create a credit-earning system for people on parole, similar to Proposition 57, for successfully completing educational programs, vocational programs, participating in non-court order substance use treatment, and performing community service. Additionally, people on parole would be able to extend their 50-mile travel radius at their annual review. 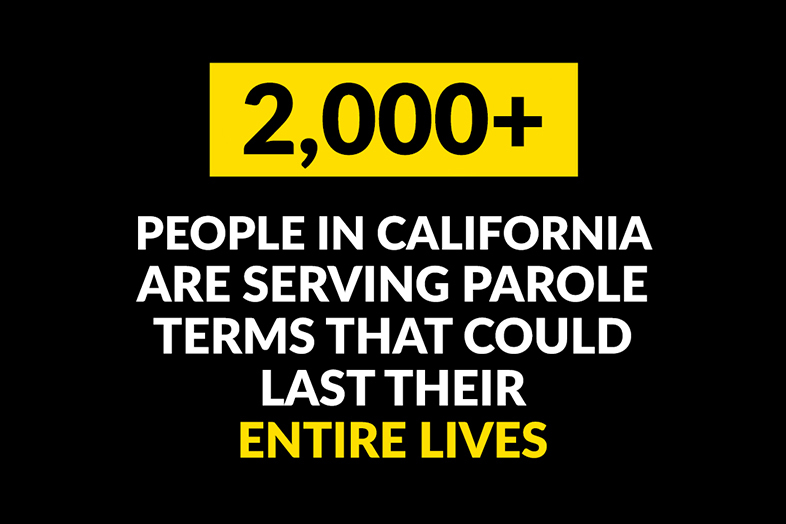 AB 277 will reduce recidivism in California by incentivizing people on parole to meet educational goals and participate in rehabilitation programs beyond parole requirements. This bill is a reintroduction of AB 1940 (McCarty), which did not make it off the Assembly floor in 2018. AB 277 was introduced by Assemblymember Kevin McCarty (D-Sacramento) and sponsored by Anti-Recidivism Coalition, #Cut50, Legal Services for Prisoners with Children, National Institute for Criminal Justice Reform, All of Us or None, Initiate Justice, Root & Rebound, Underground Scholars Initiative (UC Berkeley), Underground Scholars Initiative (UC Riverside), and Project Rebound (Sacramento State University). Visit the California Legislative Information page for AB 277 to follow this bill. 3/12/19 Update: AB 277 passed the Public Safety Committee! Next up is the Assembly Appropriations Committee.